Ilustração criada para livro didático publicado pela Macmillan Publishing Group. 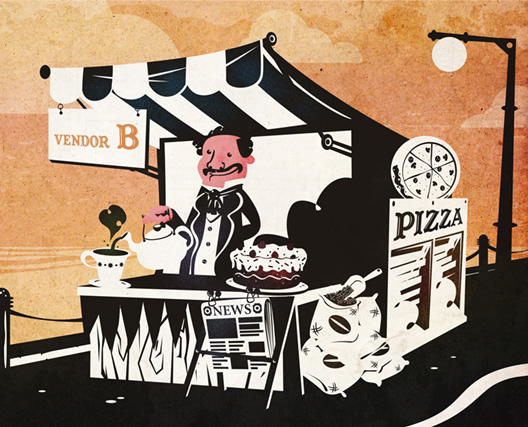 O título "Duas Barraquinhas" já diz tudo... É uma ilustra bem simples com o "Vendedor A" e o "Vendedor B" e seus diversos produtos em exposição...! Gostei muito de trabalhar nessa ilustração. Illustration created for an educational book published by Macmillan Publishing Group. The title "Two Market Stalls" say it all... 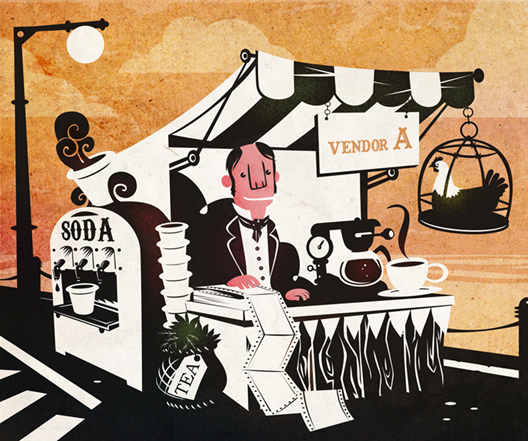 It's a very simple illo showing "Vendor A", "Vendor B" and their products on display...! I enjoyed very much working on this illustration.